In this product review article our hunting editor, Casey Fiedler, walks you through everything you need to know in order to pick the best hunting blinds for your specific needs and hunting environment. We’ll take a look at what makes a great hunting blind and what to avoid. Also see How To Choose The Best Hunting Blinds later in the article. 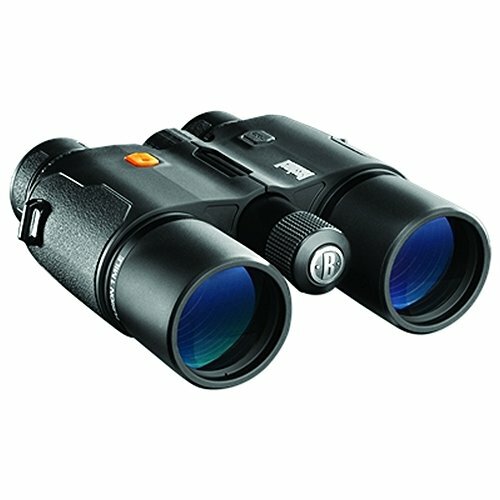 What are the best hunting blinds for the money? This blind is large, portable, pop up and highly adjustable. What more can I say, I mean, do we really even need to write any more of this review? Just buy it already! When it comes to big hunting blinds this one is pretty reasonable. It weighs in at just 20 pounds (I say “just” because some are much heavier) and sports a 34 sq foot footprint. 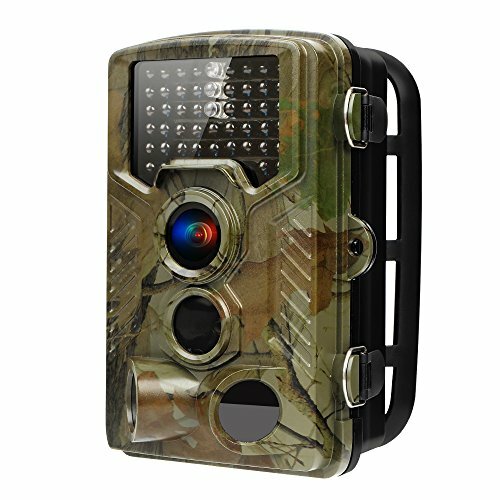 Regardless of what height you want to shoot from, all you do is adjust the camo flaps from the top and bottom to expose as much view as you want. Then you simply shoot your arrow right through the camouflage netting! There’s room for 2-3 people in there but I’d keep it on the 2 side otherwise you’ll be fighting for elbow room when you want to take that perfect shot. 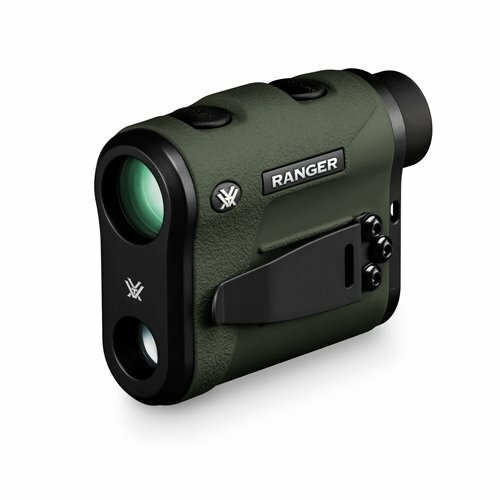 Best for woodland blind hunting in fair weather when you need fully adjustable shooting windows. Unlike the Barronett blind, the Ameristep blind is a waterproof hunting shelter. That doesn’t mean it’s perfect though. Let’s find out what’s good and bad. With three seperate window apertures on all sides, this blind can be adjusted until it’s just the way you want. Be careful making your shooting openings too small though, adjusting them when a deer or turkey is nearby will almost certainly cost you the shot. At 5’ 9” wide there’s just over 33 square feet of floor space. That means you’re talking about 2-3 people in this blind without feeling too cramped. I really would have liked to see them include some straps for live camouflage but we can’t have it all with a price tag under $100. I think this is a totally fair blind for the price overall. 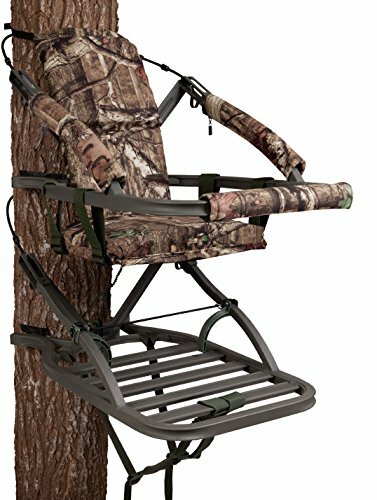 Best for two person outings when there’s plenty of natural brush to hide the blind. When they say oversized I think what they meant was over-height. This tall tent has enough room for even the tallest to stand and shoot. In case you missed it, one of the big differences between this blind and some of the others on our list is that it’s not pop up. The fiberglass skeleton must be assembled in place. One advantage of this is that it’s easier to pack. 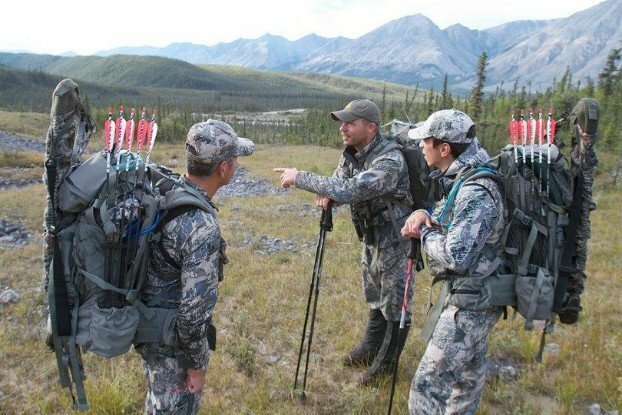 The poles, like tent poles, can be strapped to the outside of your pack while the fabric blind and be rolled up and stashed in your pack. 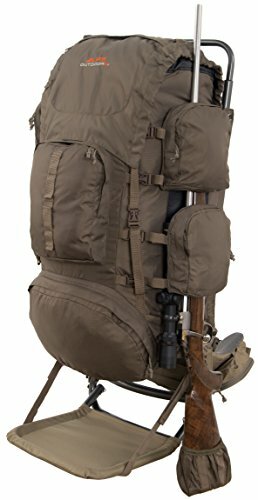 I would rather carry this deep into the woods than anything else for ease of transport. I will note that the tent camo has a bit more color in it than most so this will be best for early to mid season before things totally go brown. 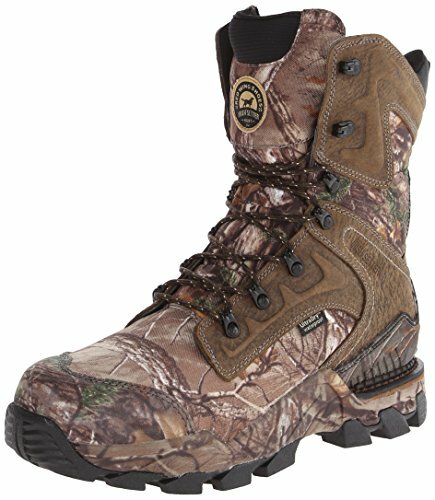 Best for tall hunters who want to stand and shoot in the early to mid season hunt. As a 100% polyurethane tent this blind is going to be like living inside a windproof, waterproof bubble. 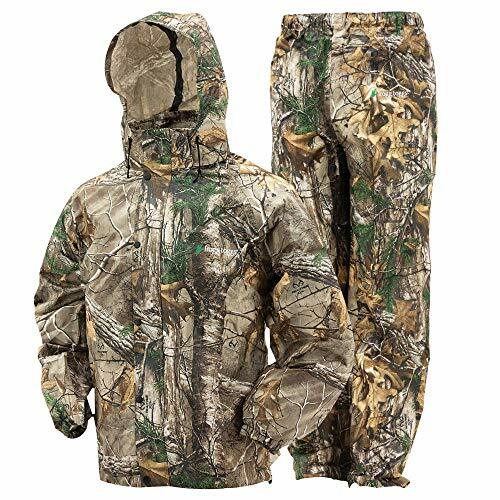 Ideal for those late season misty days when it’s too cold to be sitting in the tree. Again with the colorful camo this blind has some strong greens in it so it makes a great choice around evergreens or fern forests. That’s far from the best part about it, though. At an enormous 40 square feet of ground space there’s enough room for 3-4 people. Why you would want 4 people in one blind, I’m not sure. But if you need a full size camera crew or tons of gear out there with you, this blind gives you enough room to set up a table for your coffee maker if you want to. I will say that I would have liked to see larger shooting holes for gun hunting. 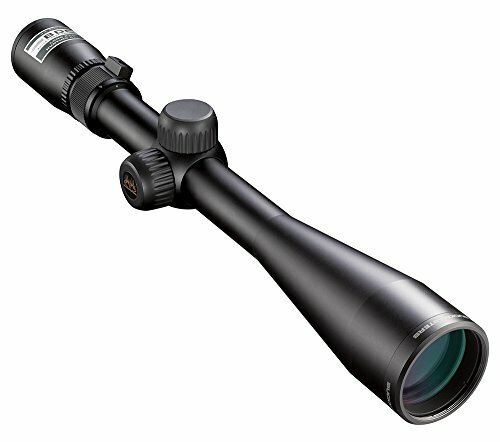 The mesh windows for archers are generous but the gun apertures look small enough to crowd the scope for gun season. Best for more than one archer hunting multiple angles from a single blind. One of the more modest sized and lower priced blinds on our list, I think this is going to appeal to anyone on a budget or new hunters. If stealth really matters to you, be warned – this tent has a zippered entrance into the blind itself. Usually this shouldn’t be much of a problem as long as you’re quiet and get out there an hour or so before you plan to see game. Compared to some other blinds’ silent entry styles, however, it’s noisy. I do like that it’s a steel spring style frame which is fast to set up and very portable. 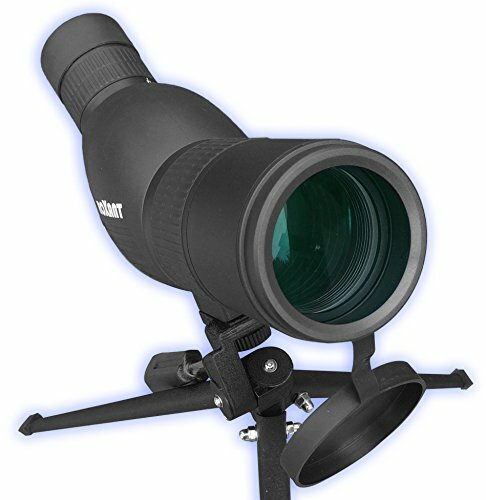 Compared to some of the mega-size blinds on our list this thing will set up instantly and be very easy to carry around with the included case. One drawback I can see, though, is that there don’t appear to be any gun ports for firearms. The mesh is shoot-though though for archers. 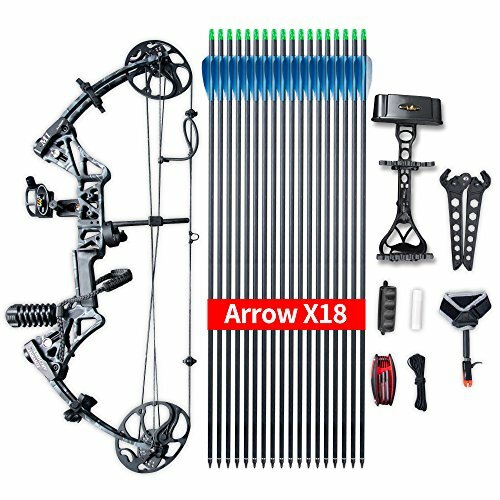 Best for archers on a budget who want an easy to setup tent. I remember growing up I would head out late summer and help dad build a new hunting blind. We’d take the truck out to the woods loaded with 2x4s and plywood. A few hours later we’d have a big ol’ huntin’ blind ready to go! Today you don’t really have to bother with building permanent blinds when it’s so easy to buy pop up blinds. You can carry them with you, move them around, and have them set up in seconds – not hours. Hunting blinds are great additions to your equipment and they’re particularly helpful for game like turkeys which are so incredibly sensitive to movement that it can be hard to get a shot off without a blind to help hide you. Together we’re going to find out what makes the best hunting blinds and what you should avoid. We’re also going to go over a handful of today’s best hunting blinds so you can get out in the field ASAP! Like real estate, location is everything. Making sure that you’re setup in a good spot is up to you. However, making sure that your camouflage matches the terrain and flora around you is critical. Setting up with trees or bushes around your blind can help it disappear but be careful not to block your own shooting lanes. Humans emit a variety of odors: shampoo, deodorant, fabric chemicals,etc. The plastic smell of a new hunting blind can also signal to game that something (like a human) is in the vicinity. Many animals are particularly alert to these scents and you’ll alert them or scare them off immediately if your new blind has a strong odor from the factory. To minimize this there’s just about one solution. Leaving your blind set up outside to air out is the best way to get rid of this scent and replace it with something more natural. That said, I recommend not leaving your tent set up in direct sun for any longer than necessary. UV light will eventually fade and decay the fabric of your tent if left out. If you are the type of hunter prone to sitting out in the blind through the worst weather you might need a waterproof hunting blind. They’re going to be more expensive and they may setup more like a tent than a blind, but a good silnylon fabric can keep water out almost indefinitely. One thing I want to note here is that UV exposure is particularly difficult on waterproof fabrics and will destroy them rapidly. Be careful about setting up your blind months in advance as the sun may decay that fabric beyond function and definitely take your blind down as soon as the season is over. In my area it’s pretty easy to check with the Department of Natural Resources to find out what’s legal and what’s not. 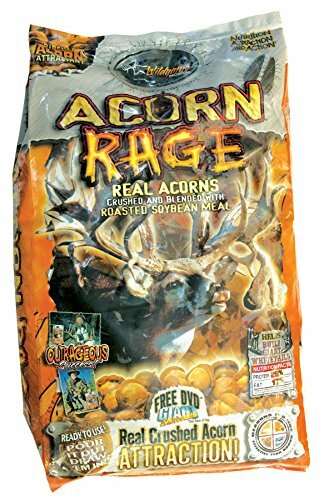 Can you use bait piles to attract deer within shooting distance? Are you allowed to hunt from a ground blind? If you’re not sure about any of these questions contact the authorities where you got your hunting license. They will be able to answer or direct your questions to the proper answer. Not all hunting types and hunting blinds are legal in all areas so I can’t give you a blanket “yes” or “no”. Hunting blinds that you buy online or from a store today are going to be some type of popup style. The larger, sturdier versions of these may be more like tents than popups. Fiberglass frame blinds usually are quite large and durable. Fiberglass can be a strong type of pole to use for a tent like this but if it breaks it usually makes a terrible splintered mess. This can be repaired but it will never be ideal. Aluminum frame blinds generally are superior to fiberglass. They’re lighter and more durable than fiberglass. Plus you can usually bend aluminum back into shape somewhat if you really need to. Steel frame blinds are usually popup style as the frame functions like a spring. Just let go and the whole thing explodes into shape! They’re actually quite functional, fun, and lightweight. Another advantage of steel is that, in this form, it’s very flexible and durable – far more so than fiberglass or aluminum. Many blinds are now made to function for both bow hunting or gun hunting but there’s more to the story. If you’re gun hunting or crossbow hunting, chances are good that you can use the same blind for both activities. However, keep in mind the axle-axle width of your crossbow versus the size of the blind. It’s unlikely to be a problem, but you need to make sure that you’ve got enough space to position your crossbow for the shot out of the blind’s window. When seated and shooting, what height does your gun (and scope) come to? Is that the same as the window on the blind? Can the window on the blind be adjusted at all? 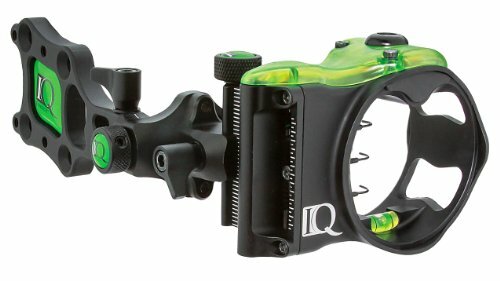 For those shooting compound or recurve your options are much more limited. Granted, today’s compounds can be quite short axle-axle but recurves are not! 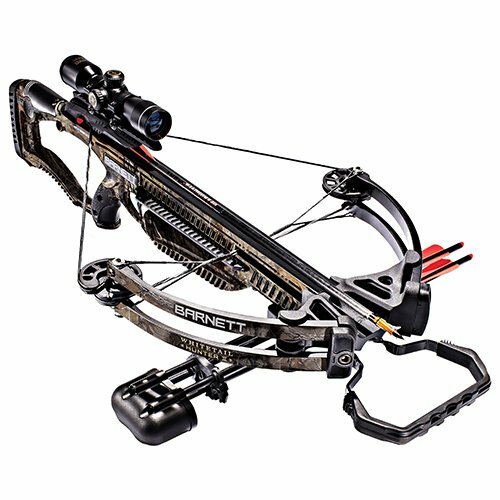 Make sure that you’ve got enough room vertically to get the bow into position without bumping into the walls or ceiling which will immediately scare off your target. Don’t skimp on size if you’re bow hunting. It’s impossible to get a good, accurate shot if you feel cramped and can’t move into position freely. Size matters when it comes to making enough room to hunt with more than one person in a blind. Generally speaking you’ll probably want about 10 square feet of floor space per hunter. This could be more or less depending on a few factors. If you’re taking a son or daughter along just to watch, they don’t need much space to sit and move. You can downsize accordingly. If more than one of you will be hunting simultaneously maximize space! For spotters and camera operators you’ll probably still want that 10 feet of space for tripod room and gear so you’re not bumping one another. Total weight of the blind is going to depend on poles, fabric, netting, zippers and accessories. Somewhere between 10 – 30 pounds is pretty average depending on how big of a tent you’re going with. 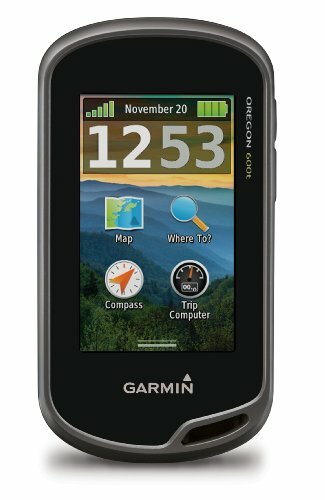 If you plan to set up weeks in advance and leave the blind in place through the season weight probably doesn’t matter. If you have to carry the tent any distance without a truck or ATV, however, you may want to consider staying light but it will cost you because lightweight blinds a more expensive overall. Question: How do I find a waterproof hunting blind? Answer: Not all hunting blinds are waterproof! In fact, even blinds made from waterproof materials (like polyurethane or silnylon) can still leak. Well, if manufacturers cut corners and try to save money they may not seal the seams. That means wherever sewing machines stitch the fabric together, the little holes made by the needle may leak water! Look for a blind made from waterproof materials that specifically states it has been seam sealed to be sure you get a waterproof experience. Question: Do should I really shoot through the mesh? Answer: For archers shoot through mesh is just fine. This is typically meant for compound bow archers though. 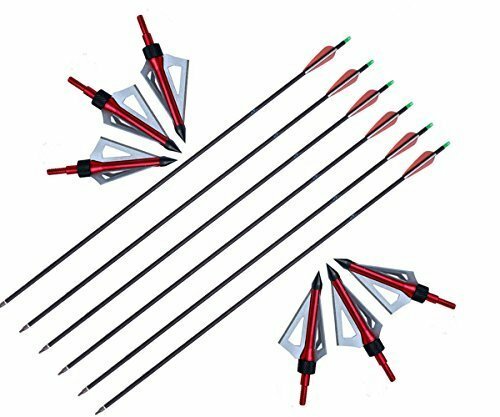 Due to inconsistencies in arrow flight and release patterns with traditional bows, like recurves, I would not recommend shooting through mesh. 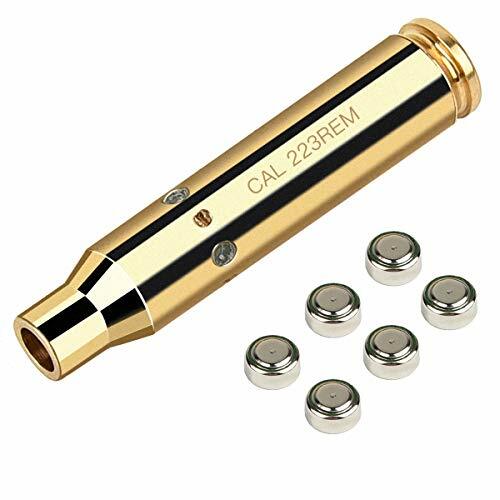 When it’s gun season and you’re ready to rip loose with the 12ga or the rifle make sure you use the shooting port. Shooting firearms through the mesh can melt or destroy too much of the material. It can also throw off the flight path of high accuracy ballistics. Question: What size do I really need? Answer: Remember to take about 10 square feet of space per person. Take more if you prefer extra elbow room or if there are bigger people in the blind. Add even more if you’re using large tripods, cameras, or other gear. That said, a single hunter will probably want a tent about 5’x5’ for enough wingspan to full draw a bow or shoot a long rifle. If you’re shooting an exceptionally long firearm remember that you need enough room to get the gun up in front of you without it sticking out of the front of the tent. Measure the length of your gun and then add 2-3 feet of space for you to sit and move behind it. In the end the blind you choose has to be based on your own needs. If you want a huge blind just to have extra room, go for it! If you’re setting up the blind in tight, dense woods maybe keep it smaller. 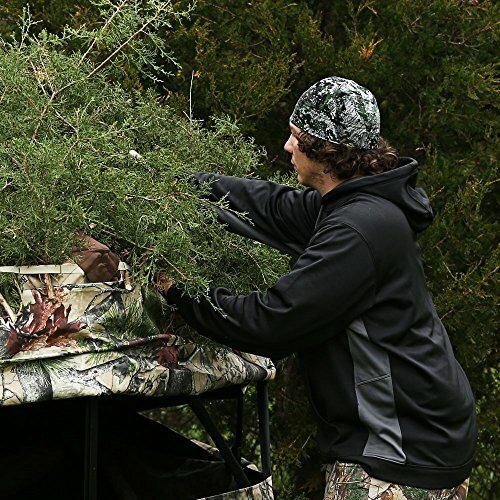 Remember to think about things like the camo and foliage around you – try to match that with your blind for maximum concealment. But don’t forget to check that the type of hunting you’re doing is legal from a ground blind in the area where you’re hunting. While it may be tempting to save a buck now, investing in a good, sturdy, waterproof blind can keep you safe and happily hunting through the worst storms while your buddies get wet and blown away! Thanks for reading The 5 Best Hunting Blinds. We hope this article has helped you to discover the best choice for a hunting blind to meet your needs and hunting environment. You might also be interested in our related and informative deer hunting article entitled, Deer Hunting Regions of the United States.